Traffic stop. 1:47 a.m. 1200 block of Coast Hwy. A 42-year-old Toledo, Ohio, man was arrested for DUI and held for $2500 bail. Grand theft. 6:53 a.m. 1000 block of Marine Dr. A black golf bag was stolen within the last half hour. Three people were seen in area. Assist other dept. 12:48 p.m. 300 block of Broadway. St. A 42-year-old man wanted for an outstanding warrant, who had apparently provided a fake name earlier, was arrested by local police. Traffic stop. 12:20 a.m. A 39-year-old Trabuco Canyon woman was arrested for DUI and held for bail of $10,000. Traffic stop. 1:16 a.m. 100 block of Moss St. A 44-year-old San Clemente woman was arrested for DUI and held for $2500 bail. Search warrant. 11:15 a.m. 21300 block of Forest Meadow Dr., Lake Forest. Tyruss Ramah Ward, 31, and Alexis Jeanine Prado, 22, both of Lake Forest, were arrested for suspicion of possessing cocaine for personal use and sales, respectively. Bail was set at $20,000 and $25,000, respectively. Traffic stop. 12:18 a.m. 200 block of Mountain Rd. A 58-year-old Kansas man was arrested for DUI and held for $2500 bail. Traffic stop. 12:40 a.m. 200 block of Mountain Rd. A 50-year-old Laguna Beach resident was also cited for DUI and held for $2500. Vandalism. 5:10 p.m. 600 block of Griffith Way. Vandalism to car. Fraud. 6:02 p.m. 600 block of Thalia St. $500 in unauthorized charges were made to a victim’s credit card. Drunk driving. 7:43 p.m. At city limits north. After a witness reported an erratic driver, Alex Stockton Long, 51, of Las Vegas was stopped, searched and arrested for suspicion of felony drug possession and a probation violation. Companion Cynthia Karen Swartz Alexander, 57, of Laguna Niguel was held for suspicion of a similar charge, both in possession of prescription meds without a proper prescription. Traffic collision. 7:35 a.m. 2200 block of Laguna Canyon Rd. The driver of a car that plowed into a pole escaped injury. Disturbance. 10:43 p.m. 600 block of Laguna Canyon Rd. Maxwell Carlton Post, 21, of Laguna Beach was arrested for suspicion of possessing cocaine and drug paraphernalia. Bail was set at $20,000. Traffic collision. 2:20 a.m. El Toro Rd. 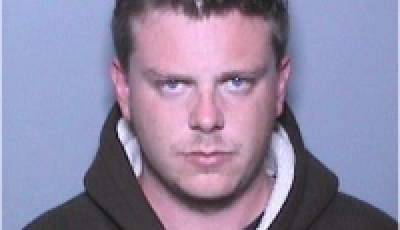 A 29-year old man was arrested for DUI and held for $10,000 bail. Traffic stop. 2:33 a.m. Third Ave. A 22-year-old woman was cited for DUI and held for $2,500 bail. Disturbance. 3:49 p.m. Third St. Nathan Turner, 22, of Laguna Beach, was held for suspicion of marijuana for sale and held for $25,000 bail. Domestic violence. 20600 Laguna Canyon Rd. 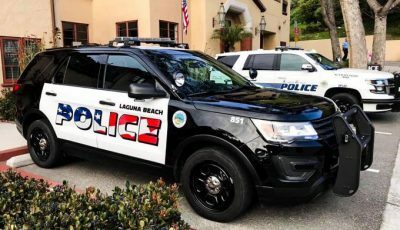 10:18 p.m. Michael Joseph Pritchard, 57, of Laguna Beach, was arrested for suspicion of sexual assault and held for $100,000 bail after a woman fled from his home. Vehicle burglary. 3:23 p.m. 20200 Laguna Canyon Rd. In the parking lot of wilderness park, a window was smashed and a purse missing from a parked vehicle.